The 13th European Conference on Artificial Life (ECAL 2015) will be held in York, United Kingdom, 20-24 July 2015, hosted by the York Centre for Complex Systems Analysis at the The University of York. ECAL2015 will showcase a wide range of topics in Artificial Life, bringing together world-leading researchers to discuss the latest advances in Artificial Life. Artificial Life is an interdisciplinary field, and as such welcomes submissions from across the spectrum of scientific and humanities disciplines, that consider the main conference themes of Embodiment, Interaction, Conversation. Please consult our information for presenters. Physarum workshop programme now available. ECAL 2015 is dedicated to a harassment-free conference experience for everyone. Our anti-harassment policy can be found here. Details of the ISAL summer school are now available. 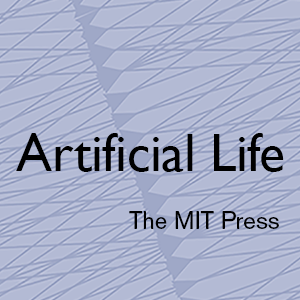 A selection of best papers will be invited to appear in a special issue of the Artificial Life journal. Confirmed workshops and tutorials announced. A selection of best papers will be invited to appear in a special issue of the Natural Computing Journal. Special sessions of the main conference announced. If you are interested in sponsoring ECAL 2015, our sponsorship prospectus is now available. We will be running the second ISAL summer school.